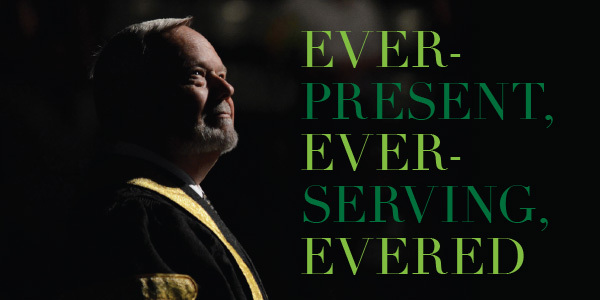 During eight years as president, Dr. Mark Evered built a timeless legacy that will forever help UFV change lives and build community in the Fraser Valley. You are invited to a Fundraising Dinner in his honour. Ticket proceeds support student awards. If you are unable to attend or would like to celebrate Mark’s retirement with a gift, please consider a donation in support of students. For more information contact tricia.townsend@ufv.ca or visit ufv.ca/evered-farewell.